Oslo: Stig Linna, the founder and ceo of Norwegian tech firm Kaizit, is adamant he has the software and know how to increase sales and reduce costs for shipping companies around the world. Kaizit, founded five years ago, is a cloud-based IT system that is easy to use and easy to implement. Kaizit has specialised in helping shipping companies work smarter within sales operations by combining its unique shipping experience with an easy to use cloud based software platform that is tailored to each company. Kaizit provides ready segmented vessel/shipowner data that makes it easy to lead your salesforce to the best potential customers, providing easy to use tools in order to log activity and get reminders of what to do, when and how. Management can get an interactive dashboard that makes sales management easier and effective. Kaizit is now rolling out software to help shipowners cut costs when going for ship repair and drydockings. 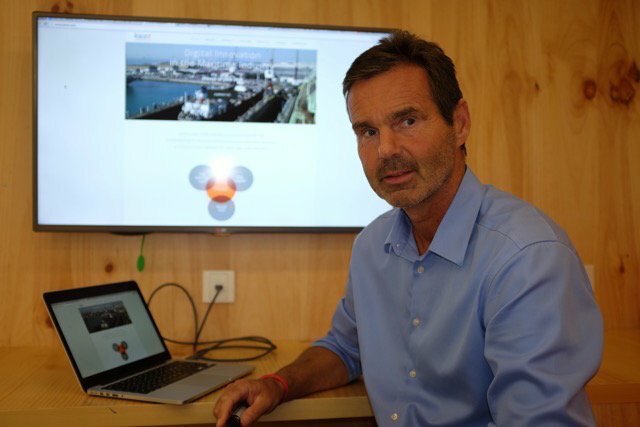 “We have found that there is a huge potential in making a management system that applies a transparent and structured way of work for the vessel managers and superintendents in order to start the planning earlier, reuse specifications, hire the best specialists and get a closer cost and progress control with the yard,” Linna says. Kaizit has already received a strong interest from several shipmanagers willing to participate in a pilot phase of testing out the new product. Linna says he is seeking a strategic partner for the next phase of this product, preferably an industrial investor that can utlise the system on his or her own fleet.